1885. 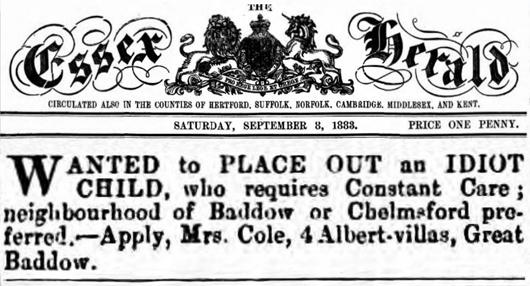 The family moved a short distance to the Essex village of Great Baddow. 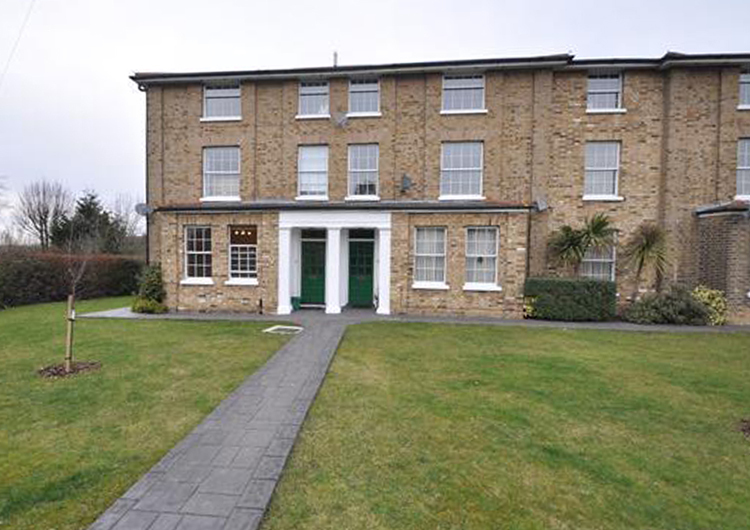 They moved into one of four properties named Albert Buildings on the Baddow Road. 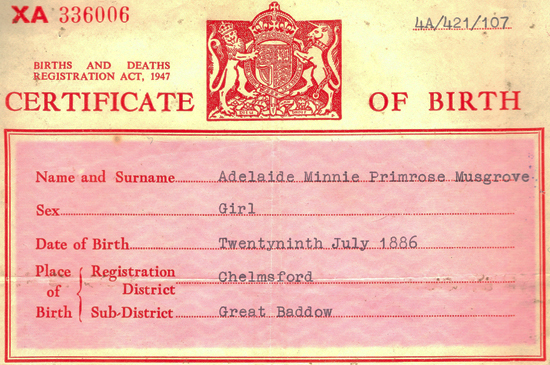 The above Electoral Register for 1887 lists the voters for the previous year. 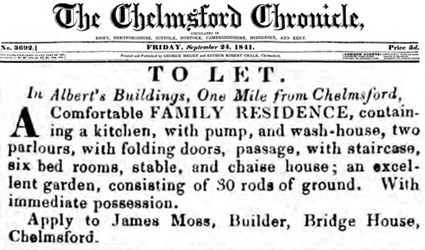 new home later in 1886. 7 brothers and sisters. 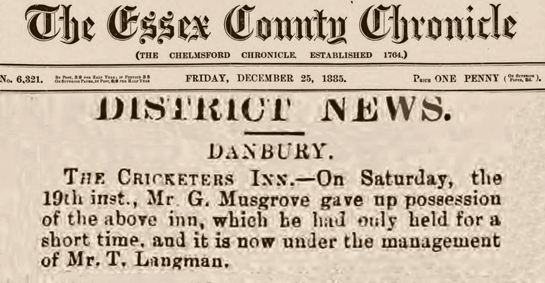 The Musgroves had moved from Great Baddow by September. The history of Albert's Buildings begins with their construction in the late 1830's. Of the four properties built, two were rented for use as private boarding schools. gentlemen under twelve years of age. 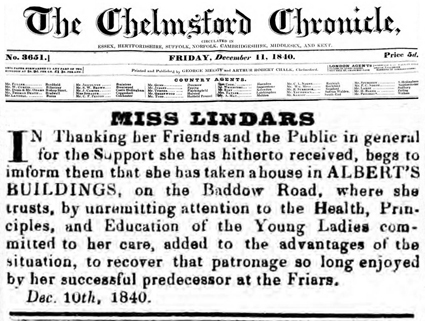 Next door Miss Sophia Lindars established a similar school for young ladies. 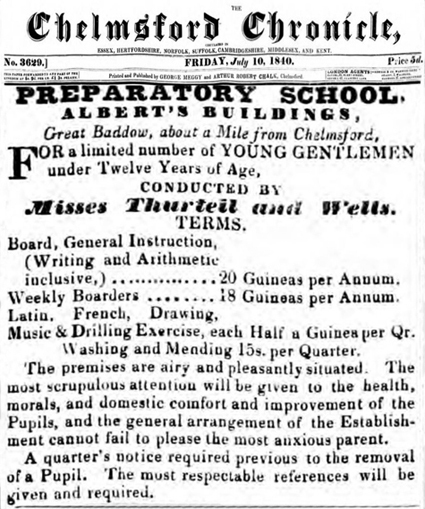 Schools had moved away and Albert Building became purely residential. 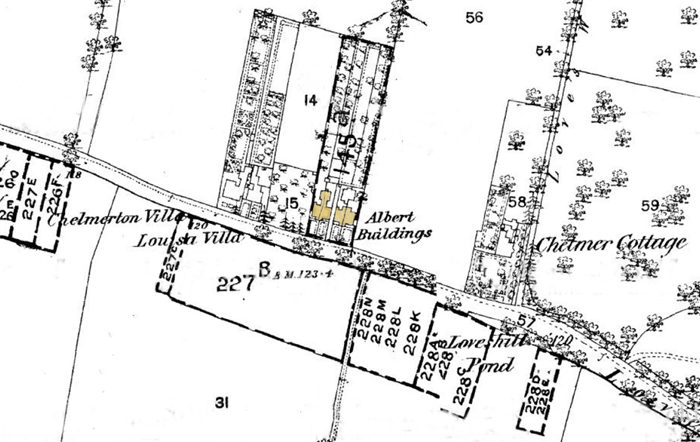 The map below dates from 1874 and shows Albert Buildings on the Baddow Road. They were also known for a short while as Albert Houses. Wickhams and Albert House and were numbered 377 to 383 Baddow Road. 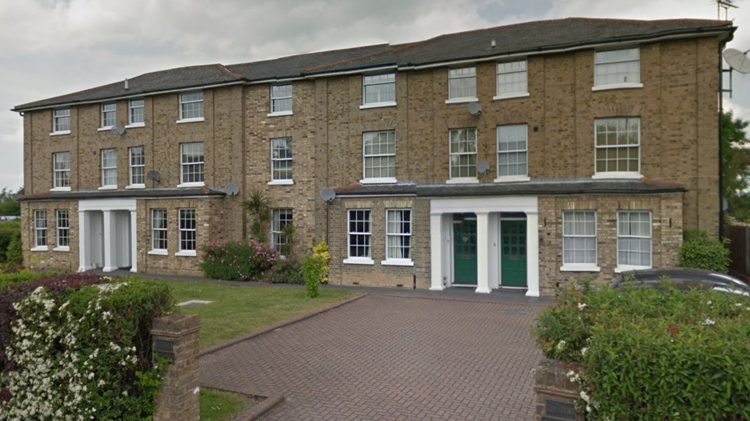 luxury apartments which are now known as Lea Court.